On my 6, I used the hinges on the lower vertical line and the horizontal line. I used screws and tinnermans on the upper and lower firewall attachments. While I will definately use screws on the bottom, I am wondering how many folks are using the hinges on the upper cowl attachment at the firewall. Is it holding up over the years? Any problems getting the pins in or out? Or am I best to go with screws or camlocs? \r\nThanks for sharing your experience. Never liked the look of screws or camlock on the cowl (to each his own). \r\n- On the top, instead of using the 3/32” pin in the 1/8” hinge, I used a 1/8” SS pin that I trimmed down to 3/32” on the last 10-12 “ or so. This allowed for the pin to still go in and make the bend, but it mitigates the cowl bulging up on air pressure at the top. \r\n- On the bottom I used the MS20001P extruded hinge instead of the provided hinge. This hinge is far more robust and solves the typical issue of hinge eyes breaking off on the bottom hinges from vibration. \r\nAll is well after 500 hours. \r\nIf you don’t use the the extruded hinge on the bottom, use aluminum plate and nutplates. \n- On the top, instead of using the 3/32” pin in the 1/8” hinge, I used a 1/8” SS pin that I trimmed down to 3/32” on the last 10-12 “ or so. This allowed for the pin to still go in and make the bend, but it mitigates the cowl bulging up on air pressure at the top. \n- On the bottom I used the MS20001P extruded hinge instead of the provided hinge. This hinge is far more robust and solves the typical issue of hinge eyes breaking off on the bottom hinges from vibration. \nAll is well after 500 hours. \nIf you don’t use the the extruded hinge on the bottom, use aluminum plate and nutplates. Thanks Carl. I like the idea of the extruded hinge. I am pretty sure the RV-10 plans specify use of 1/8 pin at the upper portion of the firewall. \r\n	Any opinions expressed in this message are my own and not necessarily those of my employer. Page 47-7 specifies 0.090” pin material for this, not 1/8”. Reread my post. The 1/8” pins are filed down on the ends so they make the bend. They are full size along the top flat parts. This takes out the slop that exists between the 1/8” hinge eyes and the standard 0.90” pins along the top so under pressure the cowl does not bulge up. Reread my post. I was responding to Scott. The result of an apparent miscommunication, because both of the RV-10 prototypes have been flying with 1/8" pins (actually .115") at this location since they were built. \r\nIt works quite well since if built per plans, the pins insert at the top mid point of the firewall. Thanks to all for the input. Much appreciated. \r\nI can\'t wait to get past this top/doors!! Almost there though. The hinges that I have for cowl have .125" holes and may try your trick with the modified .125 pins. However, the extruded hinges that aircraft spruce sells all have .090 pins, even in the thicker versions, which I assume that I would want for the bottom. Is this what you used or did you find something with .125 pins? While I will definitely use screws on the bottom, I am wondering how many folks are using the hinges on the upper cowl attachment at the firewall. Is it holding up over the years? Any problems getting the pins in or out? I purchased flying, I did not build my 6a. It has hinges all but bottom. Built in 1992 and no records or evidence of it ever being anything different. Tony Bengilis built the 6a I own. I have on one occasion had a little bulge top/right, so I can attest that can happen. The recommendation of larger wire likely would address that. 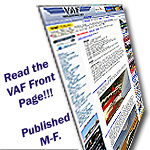 Dynamic Prop Balancing, Prebuy Inspections, Condition Inspections, Repairs and Mods, Injector Tuning, Airframe, Engine, Panel Upgrades, Ferrying, etc.